When I lived in Seattle, I was right around the corner from this super amazing Vietnamese restaurant. It was a hole-in-the-wall type of look from the outside, but when you walked in the atmosphere was rather lovely. They had done a great job of "setting the mood". Upon my first visit (of many), we asked our waiter for his suggestions. Turned out, he was one of the owners so he could definitely give us some hints. 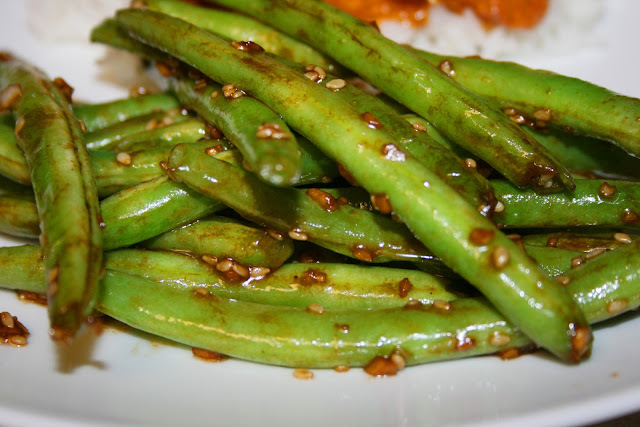 His first, "You absolutely MUST have the green beans." I thought that was a strange recommendation, considering I always think of it as a random side to an awesome entree, instead of the main deal itself. But, after hearing that it was a special Vietnamese recipe that his Grandmother brought over, we decided to order them. And oh.my.gosh. they were good! I mean, I seriously get cravings for those bad boys. Now that I'm in Albuquerque, I can't just pop in for a craving satisfaction. So I decided to try my hand at making them. It's not exact, but it's really close. These are SO good!! 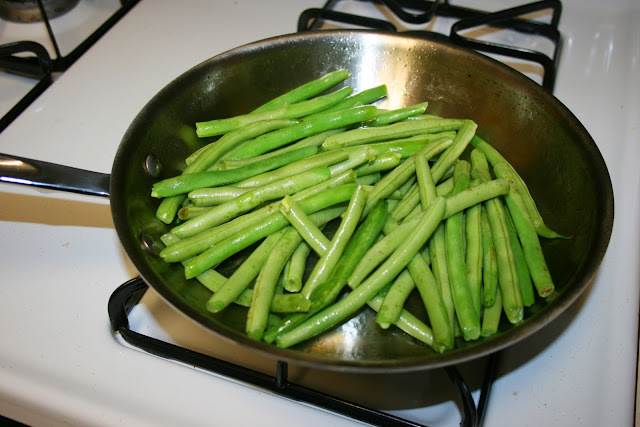 3/4 lb fresh green beans, with edges cut off. Then cook the green beans in the oil and skillet until they are just a little tender, stirring occasionally. You don't want to overcook them! You need a good pop still. 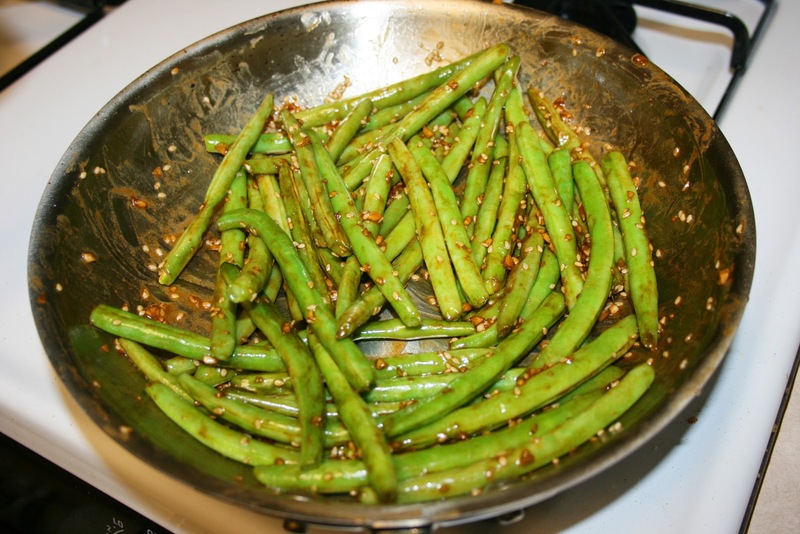 Once crisp-tender, remove the green beans from the heat. In a bowl, mix the rest of the ingredients together. Pour the ingredients over the beans and stir well to coat all the beans. I have the ingredients and will try it out for our "date night" at home his weekend. Thanks! Cant wait to try these. Defintely picking up green beans at the grocery store this week!